Built by Filippo Augustariccio during late 1200s, it was used as a burial ground for the elite and noble families of Amalfi. The architecture speaks volumes about the influence Arab culture had on Amalfi as the pillars reflect similarity to those built for the palaces in Middle East. 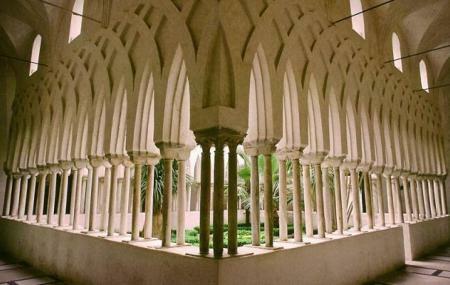 Cloister of Paradise is right beside Amalfi Cathedral and many a times, the visit to Cathedral is through this paradise. It is nothing short of an open air museum with perfectly manicured garden, sculptures and various beautiful plants adorning the place. Hop onto SITA bus to get to Piazza Duomo. How popular is Cloister Of Paradise? People normally club together Valley Of The Mills and Amalfi Musical while planning their visit to Cloister Of Paradise. Interesting to see if you’re around. Beautiful setting and layout. An impressive collection of artifacts. A beautiful cloister, but not the best I've seen in Italy.